A pilot prevented an asylum seeker from getting deported by refusing to take off. Samim Bigzad, 22, was booked on to a commercial flight to be deported to his native Afghanistan after immigration officers refused his application to remain in the UK in July. Bigzad was facing beheading threats from the Taliban in his home country and thousands of people signed a petition to prevent him being deported. Activists from Kent Anti-Racism Network went to Heathrow Airport where the Turkish Airlines flight was due to depart. They asked passengers to do "whatever they were comfortable with to raise the issue with airline staff". my cousin was crying and shouting 'I’m going to get killed in Afghanistan'". 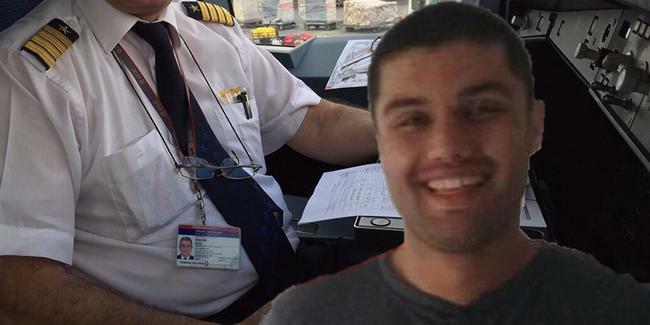 On seeing this, the Turkish Airlines pilot refused to take off with Bigzad on board. He came out of the plane and said he will not fly the plane because someone's life was at risk and he also will not let Bigzad get taken away. Arash added: "Samim said they were in the tunnel by the door when the pilot came out and said: 'You’re not going to take him, I’m not flying. Someone’s life is at risk.'" It’s believed Bigzad has been moved to the Brook House immigration centre near Gatwick. Bigzad arrived in the UK in 2015, reportedly after the Taliban made multiple threats on his life. He went to live with relatives and cared for his sick father, who has British citizenship. A spokesperson for the Home Office said: "All country policy and information is based on a careful and objective assessment of available evidence from a range of sources including media outlets, local, national and international organisations, and the Foreign and Commonwealth Office. We continually review our country policy and information to ensure it is up-to-date, accurate and relevant, so that staff can make fair and considered decisions."